After the rather good Casino Royale, it's follow up, Quantum of Solace, was a bit of a letdown. Not a bad movie, just not nearly as good as it's predecessor thanks to a weak plot and some really poor cinematography and editing. Not ones to repeat mistakes, Michael G. Wilson and Barbara Broccoli (EON Productions, more or less) decided to make sure that they came up with a movie that took what they did well with Casino Royale and added some new elements to the mix. In Skyfall Bond is now a veteran field agent, as several years have passed since Quantum of Solace. Some think that Bond is getting too old for the physical demands of field work, but Bond, of course, disagrees – as does 'M,' the head of MI6 (the British Secret Service). But we're getting a bit ahead of ourselves. The movie opens with Bond chasing down a man who has stolen a computer hard drive with the names of all the secret agents who have infiltrated terrorist organizations. This is an exciting and well crafted chase scene that ends in a hand to hand fight between Bond and the bad guy. The fight, however, does not end with either man winning as Bond is accidentally shot by another agent, an agent who is given the order to shoot the other man despite Bond being in the way. This order comes directly from 'M' herself. Bond is sent backwards off the train (which is on a bridge) and into a river. Bond is presumed to be dead. Of course, he isn't, but he lets the British Secret Service (and just about everyone else) think he is dead. While in a bar, however, he sees a CNN report of how the MI6 building has been the target of a terrorist attack, and he feels the need to come to the aid of Queen and Country. When he does return to MI6 (to 'M's house to be more accurate) he is a bit haggard. Unshaven, dressed like a commoner, and still feeling the physical effects of his injuries, this isn't the Bond that everyone knew. Having subsequently failed his physical and psychological tests 'M' still decides to let Bond track down whoever is responsible for this attack and to retrieve that hard drive. Skyfall definitely has some surprises up it's sleeve, and features one of the strongest casts in the entire Bond catalog. Javier Bardem plays the villain of this piece, and he does a nice job in the role. His character is not in this for money or power (the usual goals of Bond villains). No, for him this is personal as he is after revenge. He is a man who has carefully crafted his multi-layered plan for revenge, and quite often things are not exactly what they appear to be. Now, I won't give away any plot secrets or spoilers, but suffice it to say that this is one of the most clever villains that Bond has ever faced. And this is also one of the best stories among all of the Bond films. The script, written by Neal Purvis and Robert Wade, and then re-written by John Logan to polish it and punch it up, is fantastic. Now maybe it could have used just a little more humor, but not much. It's almost pitch perfect as it is. The dialogue is excellent and the story moves along nicely. The plot details actually make sense, which hasn't always been the case with Bond movies (they're all entertaining to one degree or another, but sometimes logic has flown out the window). They have also come up with the most powerful and emotional ending to a Bond movie since On Her Majesty's Secret Service. But the real behind the scenes stars are director Sam Mendes and cinematographer Roger Deakins. The movie looks great. This is a stunningly beautiful movie to watch – something almost all of the Bond movies share in common (and one area where Quantum of Solace really failed). Perhaps another round of applause should also be given to editor Stuart Baird, one of the best in the business. Baird was so effective as an editor in the 80's and 90's that he was then hired to direct several movies (including the rather good U.S. Marshals and the rather disappointing Star Trek Nemesis). Here, Baird keeps things moving along at just the right pace at just the right time. The movie has it's chances to breathe, but never in a fashion that allows the movie to drag. We get character development and a chance to catch our breath as an audience before we go headlong into another spectacular action sequence. Mendes, Deakins, and Baird all deserve Oscar nominations for this one (whether they will get them or not is questionable, but they deserve them all the same). For his part, Daniel Craig does an extremely good job as Bond. He still isn't the Bond that Sean Connery, George Lazenby, Roger Moore, Timothy Dalton, and Pierce Brosnan all played, but he seems to be developing into that character (at least to some degree). 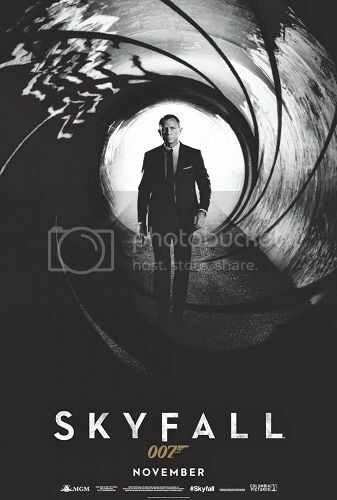 In fact, Skyfall in some respects almost seems like another reboot of the series. Set years after the events in Casino Royale and Quantum of Solace this really restarts the series, only with the continuity of those two movies intact. This isn't Bond Begins like Casino Royale was. This is more Becoming Bond, which is what Quantum of Solace was supposed to be (but really wasn't). 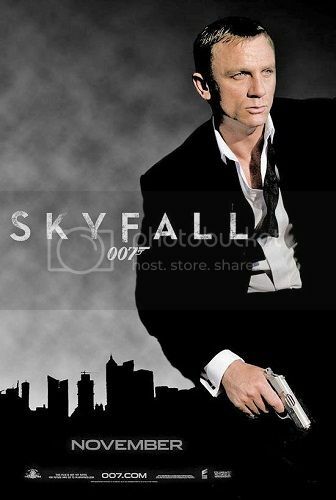 By the end of Skyfall there are hints that we're going to see more a more traditional James Bond in the next movie. And even though this isn't quite the old school Bond, this is still one heck of a good performance from Craig. And then there's the rest of the cast. Dame Judith Dench is again back as 'M' and she does her usual fine job in the role, which is expanded in this one much like it was in The World Is Not Enough, and maybe even moreso (and to better effect). Naomie Harris is good as Eve, the agent who accidentally shoots Bond and is trying to make a place for herself as a field agent. Then there's Ralph Fiennes in a supporting role playing a bureaucrat in the British Government. When you've got Ralph Fiennes in a supporting role you're in pretty good shape, and he delivers big time here. His character seems set to carry on in the next few Bond movies, and that would be a fantastic thing for the series. Albert Finney makes an appearance in the movie as well, and he does a great job as well bringing the character to his part as a character actor. 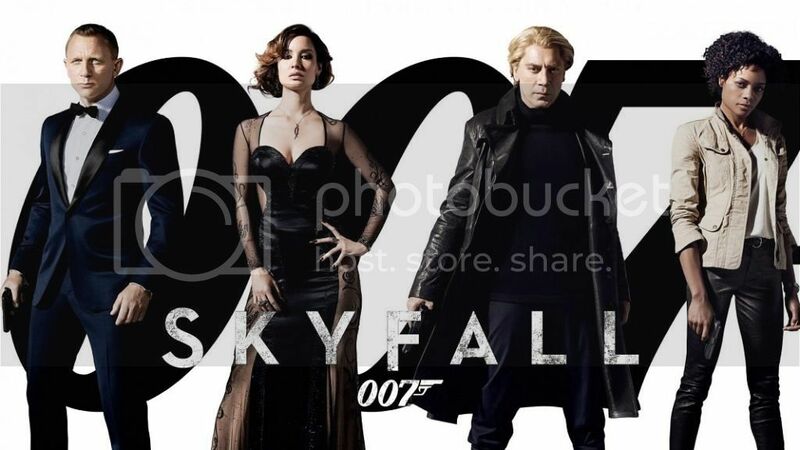 And, as mentioned before, Javier Bardem plays the borderline psychotic villain with flair. His performance is fairly creepy as it's clear that the lives of innocent bystanders mean nothing to him. Revenge is all that matters, but in his mind his quest is completely justified. I would also be remiss if I didn't mention the action sequences. They are much better staged and executed than with the previous movie, and may be even better than the ones in Casino Royale. 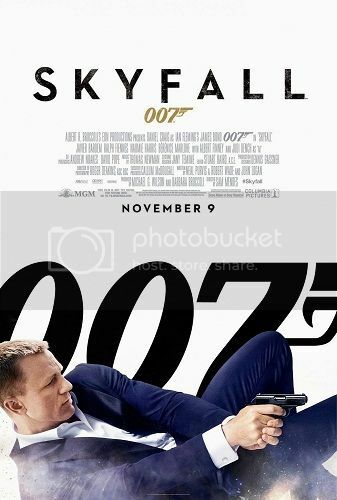 When it comes to action, Skyfall definitely delivers in spectacular fashion (the action scenes are loaded with eye candy in terms of setting and backdrops). All in all this is one of the best films in the Bond series and if EON can continue to make films this good (or even just nearly this good) then bring them on every three years or so! Finally caught it yesterday, loved it. By far the best looking Bond film of all. The sequence in Shanghai with the hitman, the glass, the neon lights, just beautifully shot and edited. Amazing stuff. The movie itself discussed above is fantastic. It is one of the best Bond movies from the entire series, but would the Blu Ray live up to the quality of the movie itself? The Skyfall blu ray looks fantastic. Crisp, clean, with vivid colors and a ton of detail - this is a nearly flawless blu ray. It looks even better than the theatrical release. The bonus material is good, but not as good as the special editions of the pre-Pierce Brosnan era films on DVD and blu ray. There's enough material here to give Bond fans (both the die hards and the casual fans alike) something enjoyable to watch after the movie is over, but not enough to be worth the price of admission alone (which the pre-Brosnan Bond DVD's were - loaded with so much stuff that they were worth buying just for the extras alone). 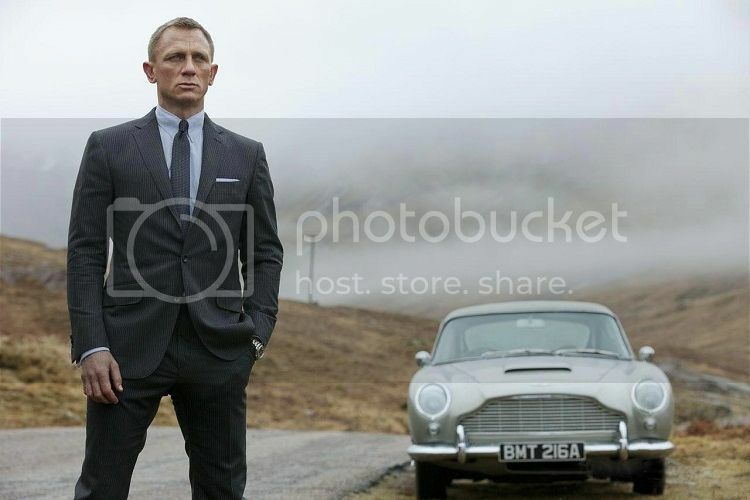 Still, given the absolute gorgeous picture quality and the quality of the movie itself Skyfall is a Must Have Blu Ray.